The knee is an important hinge joint and as it is weight-bearing can be prone to “wearing out”. Arthritis is painful and disabling and you and your surgeon may have decided that a partial knee replacement may be your best option. If your knee joint is only worn on the inside surface then you may be suitable for a half replacement, or Unicompartmental Knee replacement. An anaesthetic will be given in theatre. This may be a general anaesthetic (where you will be asleep) or a spinal block (e.g. where you are awake but the area to be operated is completely numbed). You will have the opportunity to discuss this with the anaesthetist. Using measuring devices, the new artificial knee joints are fitted into position. 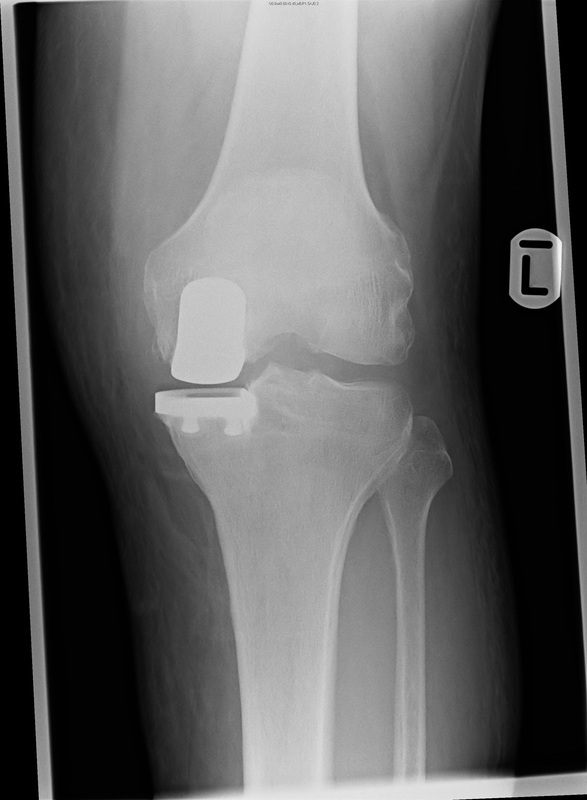 The implants have an outer alloy metal casing with a “polyethylene” bearing which sits on the tibia. When the surgeon is happy with the position and movements of the knee, the tissue and skin can be closed. This may be done with stitches (sutures) . The stitches will need to be removed around 10 to 14 days after the operation. Drains are not usually used. You will be encouraged to stand and take a few steps within hours of the operation . You may go for an X-ray the day after the operation. Many people can expect to be going home the same day, or the day after surgery. Whilst in hospital you will be visited by the physiotherapy team, who will suggest exercises for you. It is important to do these (as pain allows). Knee replacements are usually performed on patients suffering from severe arthritis (although there are other reasons). Most patients are above the age of 55yrs.